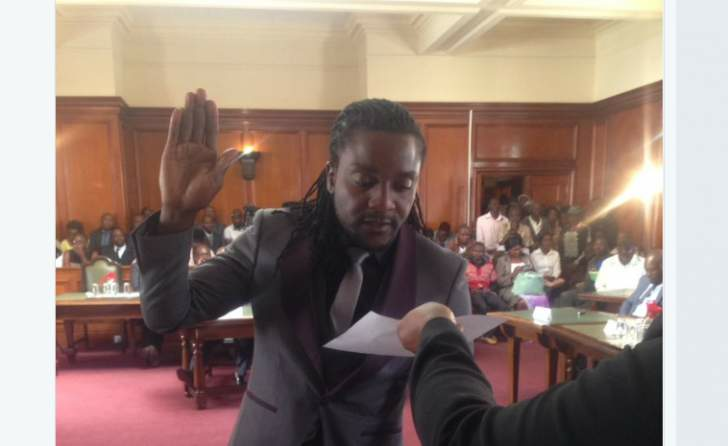 BULAWAYO City councillors - the City Fathers tasked by residents to run the second largest municipality in the country - were allegedly bribed with shoes in the run up to the hotly contested Deputy Mayor elections, a candidate has claimed. Mlandu Ncube withdrew from elections for the Deputy Mayor post on Monday paving way for Tinashe Kambarami to take charge of the position of the second most powerful man in council chambers. But Ncube is screaming "electoral fraud" and accuses his opponent of dangling goodies to the electorate — the councillors. Ncube said a week before the elections, he was tipped-off by councillors sympathetic to him that Kambarami was doling out shoes in exchange for votes. "A week before the elections some of the councillors openly told me that Kambarami had bought them gifts, including shoes, in exchange for votes and I reported the matter to my superiors in the party (the MDC Alliance). "Residents must be worried about the calibre of councillors that sit in the council chambers if the same people tasked with running the city of Bulawayo can be bribed with shoes. I will not let the issue (of bribes) be swept under the carpet," Ncube told B-Metro. He charged that Kambarami took advantage of some councillors that are not financially well off to "steal" the election. Contacted for comment, Kambarami said Ncube must bring evidence to back up his claims that councillors received gifts in exchange for votes. "Why doesn't he produce a list of the councillors that were bribed with shoes to vote for me? If he won't show us that evidence then I will not entertain anything that he says," said Kambarami. Bulawayo residents patiently wait for the drama in the MDC Alliance controlled Bulawayo City Council to come to an end so the City Fathers can concentrate on their duties — service delivery.